For the third year in a row, AIM has surpassed expectations by delivering four unique stages, over 70 artists, and a combined 42 hours of music. The festival once again lived up to its namesake by bringing Art, Innovation and Movement to Parc Carillon. What makes AIM truly unique is its refusal to settle into any mainstream box. The result is an intimate and immersive experience unlike any other in Canada. 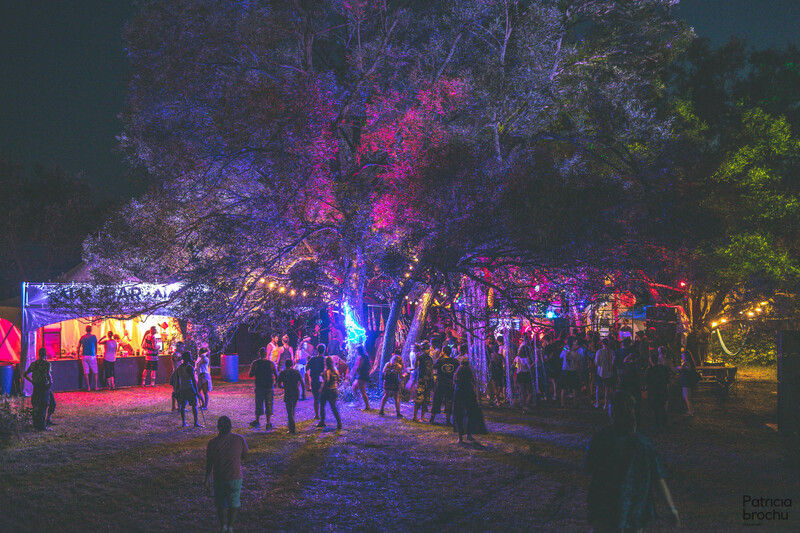 As festival-goers arrived on the grounds on Friday the festival was already in full swing. After setting up campsites we rushed through the glowing neon pathways to the AIM Stage just in time to catch the beginning of Henrik Schwartz’s set. The live performance, which featured many of the artist’s own tracks, was one of the most energetic and memorable of the weekend. Âme was a strong following act with his own live set to cap off night one and raise the bar for the weekend. What sets apart AIM from other festivals is the 32 hours of non-stop music from Saturday to Sunday. All four stages open Saturday at noon and bring their own musical style and artistic elements. While the Movement Stage incorporated trance acts for the first time ever, the AIM Stage featured many of the top-billed names of the festival. Highlights included Anabel Englund providing live vocals to Lee Foss’s performance and a highly anticipated Guy J sunrise set. The Monolithes Stage brought AIM’s “Art, Innovation, Movement” theme to life. By projecting graphics and videos onto the massive concrete structures at Parc Carillion the stage was transformed into a futuristic temple of house and techno. 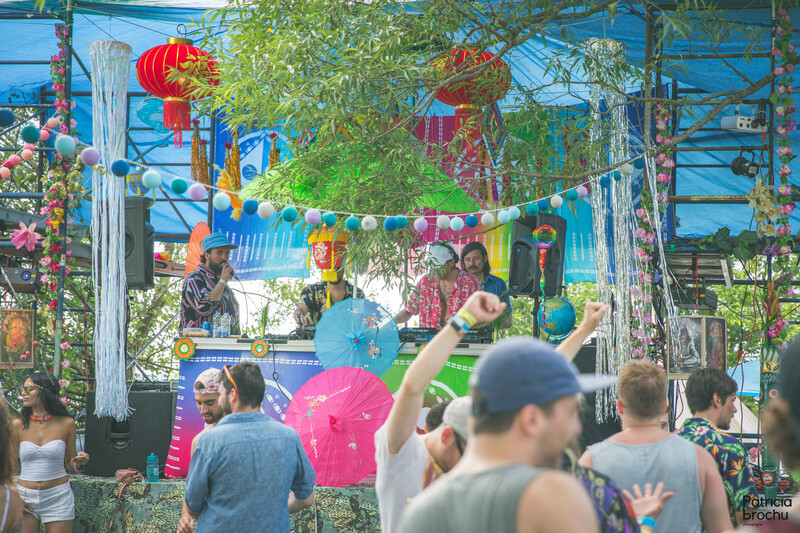 Festival-goers were immersed into an interactive video dance floor with the soundtrack provided by major names including Riva Starr and Weiss. 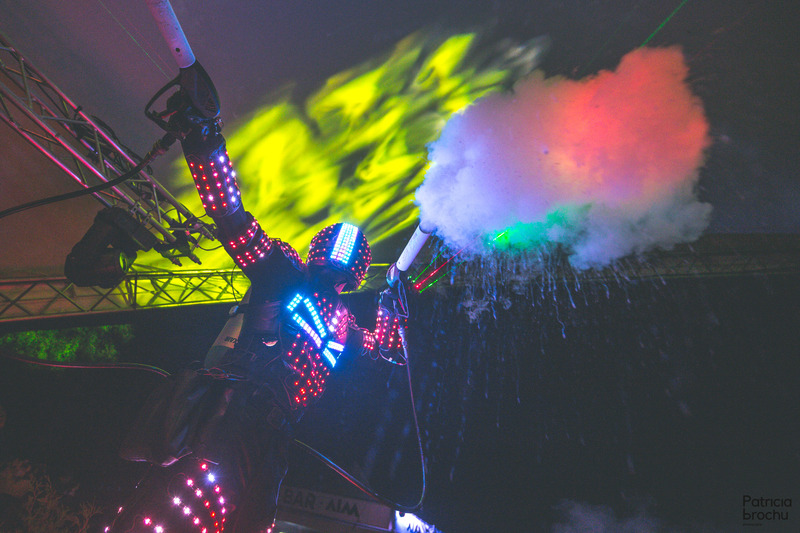 While all of the stages offered a unique experience the most memorable, and my personal favourite, was the Multi Culti Stage, organized by the label’s founder, Thomas Von Party. The Montreal native is renowned for throwing some of the city’s best parties at his Mile-End club, Datcha. Once again, he delivered a beautifully decorated stage with a line-up filled with both local and internationally renowned acts. Decorated with bright tapestries, sparkling streamers, parasols and blow-up unicorns, the stage felt like escaping down the rabbit hole into Wonderland. Von Party himself played an eclectic house set perfectly suited to the setting. John Talabot later delivered the most anticipated and talked about set of the festival with an nearly indescribable sound of soul-filled, ethereal house. 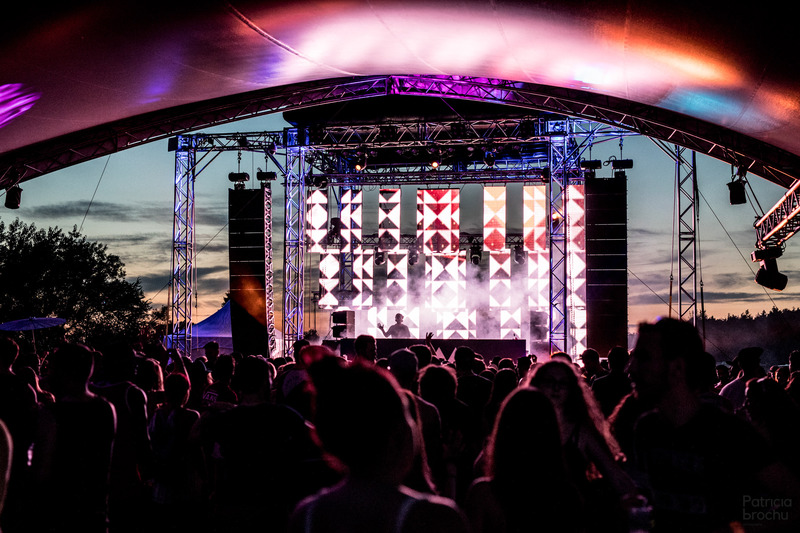 There’s no denying that AIM offered a stunning line-up and setting at Parc Carillon, but it was truly the attendees who brought the spirit of the festival alive. The number of attendees is still relatively small, which brings a feeling of community both on the campgrounds and the dance floor. Everywhere you turn you’ll find festive outfits paired with glitter, bubbles and stickers, bringing a party atmosphere to the crowd rarely found at other events. While still a young festival with lots of room to grow, AIM manages to improve each year while staying true to its roots. If by the end of the summer you’ve grown tired of the mainstream festival formula offered at so many other events, make sure to keep an eye out for next years announcement. It’s been truly inspiring to see how far AIM has come in just three short years and I can’t wait to see where the experience leads in 2018. 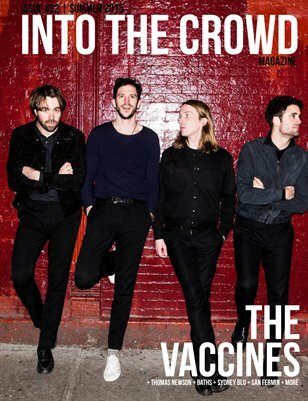 ← CONTEST: Win a pair of GA tickets to Montreal’s AIM Festival this weekend!